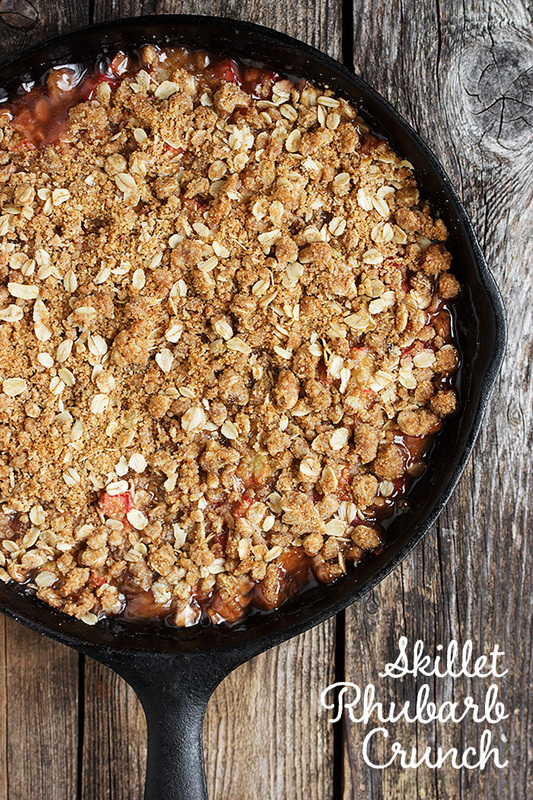 Delicious Skillet Rhubarb Crisp, with a crunchy layer on both the top and bottom and a sweet and saucy rhubarb layer in between – it’s rhubarb perfection! I finally got my hands on some garden fresh rhubarb this week. Thanks Dad! I know some of you were enjoying garden-fresh rhubarb a while ago, but things come a little slower in these parts. Right now here, the leaves are just fully out and we are in full-on black fly season. It’s one of nature’s cruel twists, since we wait through a long winter just for nice weather and once it comes, so do the black flies to drive us back inside. Black flies are just about the worst bugs ever. They come in droves and swarm around your head and get in your hair. They can also take a huge chunk out of you for such a little bug. I happen to have a black fly bite allergy (where I swell up in all sorts of unpleasant ways), so I’m especially careful this time of year. Fortunately, their life span is short. All we need is a bit of hot weather to kill them off and since we’re enjoying a run of 25° C. days (80° F.), I’m hopeful their visit this year will be short! So since I can’t spend too much time outside, I have lots of time for baking still. I think is the quintessential rhubarb dish. It one-ups a crisp with a crunchy layer on both the bottom and the top. In between, fresh chopped rhubarb is topped with a thickened sugar syrup, that cooks up in to just the right amount of sweetness. I haven’t made this dish with frozen rhubarb, but my experience says it should work just fine. The perfect way to enjoy Spring rhubarb! This dish has a crunch layer on both the bottom and the top. In between is fresh rhubarb cooked in a sweet sugar syrup. 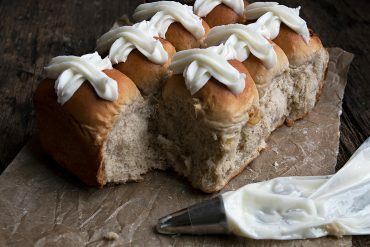 You can bake this in an 8x8-inch baking dish as well. Chop rhubarb and set aside. Butter an 8-inch skillet (or 8-inch round or 7x11-inxh oven-proof baking disand set aside. Pre-heat oven to 350° F.
In a large bowl, whisk together the flour, oats, cinnamon and brown sugar. Add the melted butter and stir until all the dry ingredients are moistened. Scatter 1/2 of the crumb mixture over the bottom of the buttered skillet and press lightly. Prepare the sugar syrup by combining the sugar, cornstarch and water in a medium saucepan. Stir until well combined. Heat over medium-high heat until mixture is thick, clear and bubbly, stirring occasionally. Remove from heat and stir in vanilla. 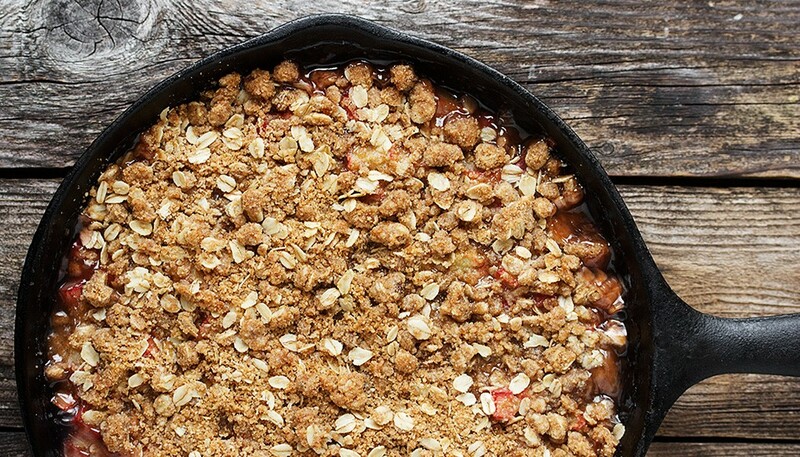 Add the chopped rhubarb on top of pressed-in crumb mixture in the skillet. Pour sugar sauce evenly over rhubarb.Top with remaining crumb mixture. Bake at 350° F until edges are bubbling and crumb topping is browned, about 30-35 minutes. 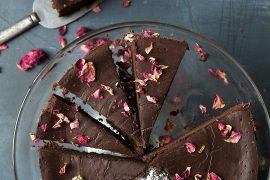 (Note: You may wish to set your baking dish on to a baking sheet, if you are using one with short sides. The sauce does bubble up and may drip over the sides). Serve warm with a scoop of vanilla ice cream, if you like. 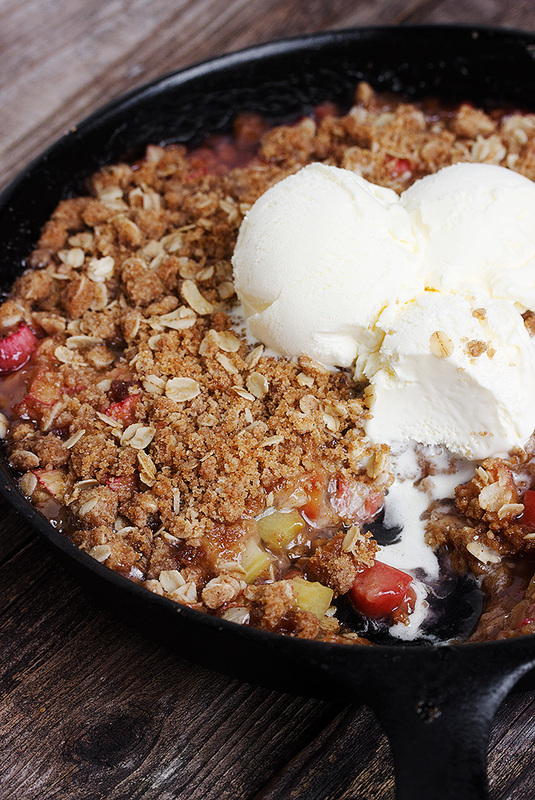 This skillet rhubarb crisp is absolutely delicious! I substituted the butter for a vegan butter, arrowroot powder for cornstarch & used maple oat granola because I didn’t have rolled oats on hand. SO GOOD! I had to broil at the end to crisp up the top after the recommended baking time. It just slid right out of the cast-iron, amazing. 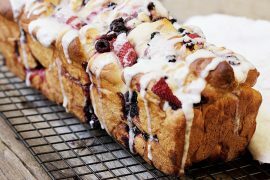 This no doubt will become a go-to summer dessert in our house! So glad you enjoyed it, Daena :) Thanks! Good-bye old rhubarb crisp receipes. I realize I commented a year ago but couldn’t pass up not saying “thank you” again. THIS IS IT!! So yummy!! 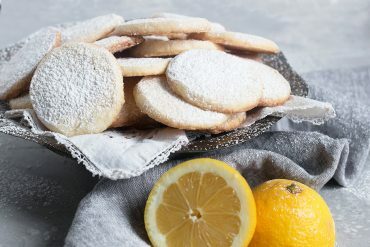 Recently make this receipe and it was delicious! Loved the double crisp layers. Used my cast iron skillet & it was full! Thought it might bubble up so I followed your advice. Didn’t need to worry. Served it warm the first day & then just took the portions needed after being at room temperature for an hour or so. We found the flavour improved with age. 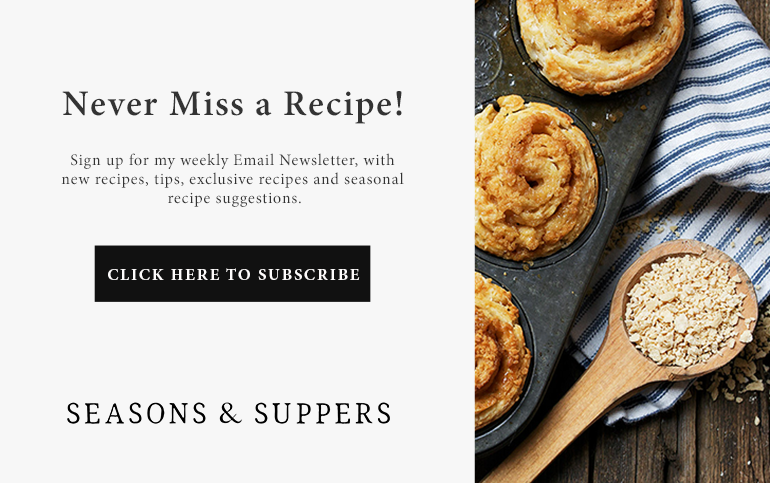 Will become a repeat receipe for sure! It looks amazing. I’m going to do one to go with the apple pie for the 4th. Will it be as good if I assemble it today and bake it tomorrow? Hi Theresa. I would make the components ahead and store them separately, then just put them together before baking. I’d be worried that the crumble might get soggy if assembled ahead. Thanks Renee. 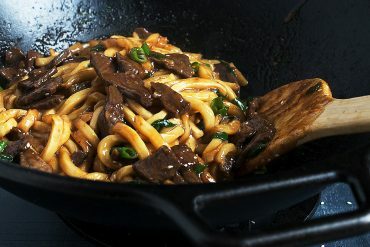 I’m convinced it just tastes better from a skillet :) I just made another one today, with a few strawberries thrown in that needed to be used up. So delicious! 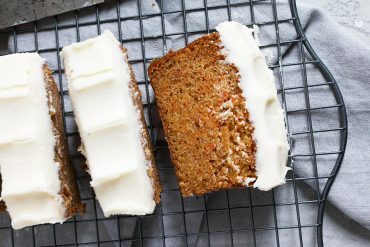 I love the ginger addition, I totally do that too, but have sadly never worked with rhubarb, I’m going to need to try that asap, it juuuuust started showing up at the farmers market! this would be great with some ice cream! It was, Dina. I love how it all melts together. Yum! This is the kind of thing I could eat every day. Rhubarb crunch to the rescue!! Me too, Katrina. It’s perfect comfort food. I’m giving this one a try. Rhubarb has always been one of my very favourites. YUMMY! Enjoy Rhondi. You won’t regret trying this one! 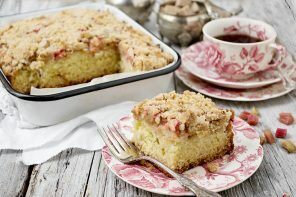 So gorgeous, I love the idea of a nice crunch against the soft rhubarb! It was delicious, Laura. Lots of crunch is never bad. 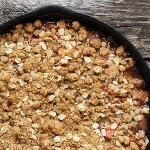 Hi Jennifer, love fruit crisp and this looks amazing! yikes that’s terrible about the black flys, hope the weather warms up really fast. Hi Cheri and thanks. I’m praying for a lot of hot weather, too – to zap those little bugs soon! Double the crunch?!!!! Now that’s winning at fruit crisp. 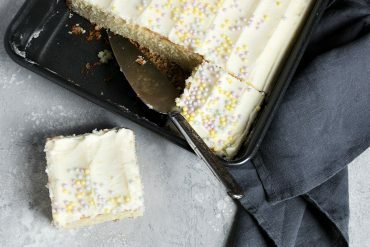 I love that quote at the top – it looks like crumble (or crunch) perfection! It really is. I can’t imagine a better way to enjoy rhubarb!